On a planet filled with eight billion people, accessories become a great opportunity to enhance the wearer’s personality through pops of patterns and colors. Throughout history the world over, animals have had cultural associations and deep literary and artistic representations. The owl has been seen to represent wisdom, the fox sly, and the cat curious, for eras. Many sources are available for these interpretations. Great Dreams and others have a plethora of associations for animal lovers everywhere. Animals are a massive part of global culture, as shown by ongoing conservation efforts across the world. People champion the spirit of animals through many different forms of support. 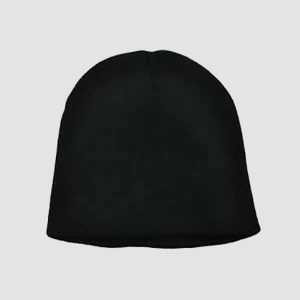 An easy and stylish way to promote a pro-animal culture, and engage the animalistic part of the wearer, is through the integration of a stylish and fun beanie into the wardrobe. 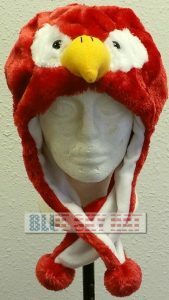 The warmth of a fuzzy winter beanie is perfect for cold days and using the long earflaps the beanie comes together in the form of several cold climate animals. 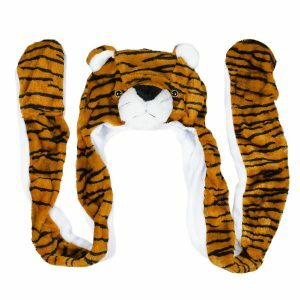 Options of designs include the penguin, brown bear, fox, and leopard with a flashy animal face as the head cover. 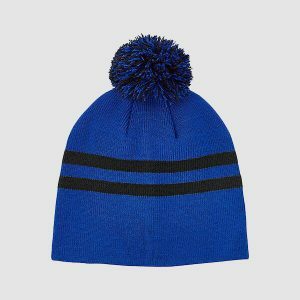 The earflaps work both as a scarf and gloves, and the thickly insulated design mimics the warming techniques of the creatures on the beanie. These bamboo eating, black and white members of the Ursidae family traditionally populate Asia, with their population native to Southeast China. 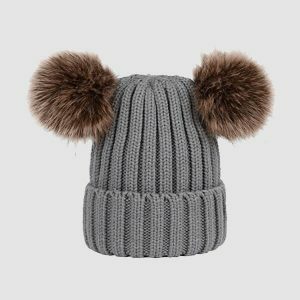 Pandas are a continued target of poachers, so for animal lovers everywhere, the fleecy design of the bear styled beanie is perfect. 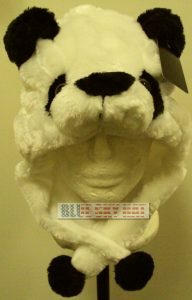 Standing in solidarity with this rare species, beanie wearers can stay warm, comfortable, and cute in this panda inspired beanie. The wolf has fans from all levels of society, having long been known as an apex predator with a fascinating, immersive culture. 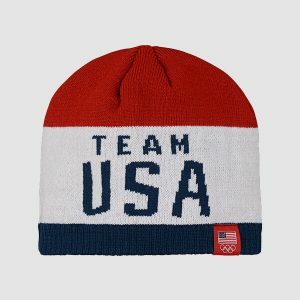 A beanie designed for warmth, and inspired by the greatness of the wolf, is a perfect fit for winter wear. 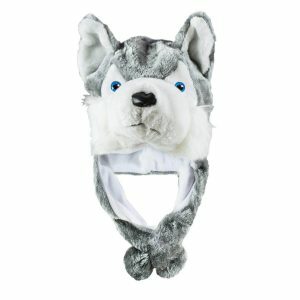 The compact design and neck strap keep this beanie in place, as the beady eyes of a wolf sits above the wearer’s head. Those who prefer to use the animal outlet as a method to get a pop of color with the more animated animal features, love the red bird design. Clearly inspired by birds everywhere, the cartoonish features of the fuzzy bird design make it ideal for children who desire the energy and enthusiasm of animal print, though do not yet benefit from the realism. 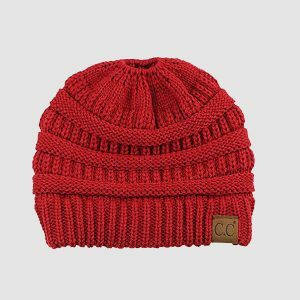 The bright color makes it an easy to find item, both on and off the young wearer. Keeping with the cartoonish features that provide a lighter ode to the animal which they emulate, the tiger print is a classic, much-loved design. These animals have long been seen as symbols of tenacity, and their likeness has been replicated across the world as a visual mantra of strength. 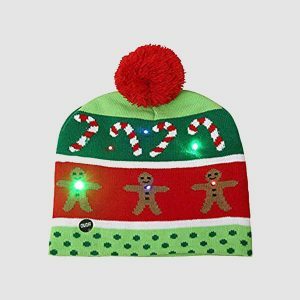 With a stretchy material, this beanie is suited to all ages and sizes. Long earflaps add to the size of the winter wear, a good throwback to the massive structure of the grand tiger. 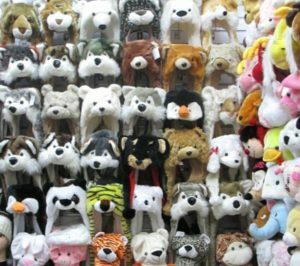 Animal patterns make favored gifts and party favors, so for those pursuing these items in bulk who seek to still provide original gifts, the dozens of animal options available makes for many options in the shopping experience. To make this choice easier, the multiple options in a centralized location provides the option for bulk purchase. The low cost makes for easy pairings, from dog and cat to brown and polar bears. 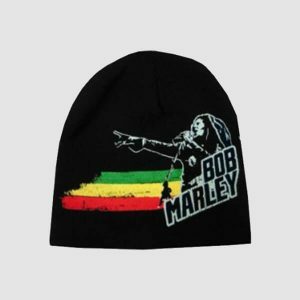 Often, beanie wearers with a passion for animals will have multiple favorites, and now no decision between these favored animals need ever occur. Many animal lovers are introverts as well; so, for a simpler option that still shows a passion for animals, a plainer design with featured ears is an easy way to keep to the animal spirit, without calling too much attention to the wearer. 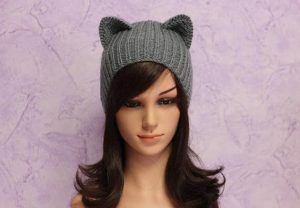 Cat lovers everywhere find a simple wear through the gray knit and soft fabric of the small-eared, cat-themed beanie. For those with a solid sense of humor, the bright pink, pig shaped beanie is a perfect match to lighten any mood. Though pigs have long been thought of as an undesirable animal, according to E-Scholarship, these animals are ‘cognitively complex’. The wearer can smile in tandem with the grinning pig with happy, squinting eyes. These green, bug-loving, amphibians have been on this planet for over two hundred and fifty million years. Many breeds of this creature are found across the globe, and for those who like the best of land and water creatures, the frog is a fun animal print. 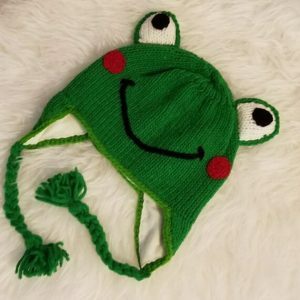 A light knit, bright green, smiling frog is the perfect companion for outdoor treks, providing visibility and fun. For ages, the owl has been held in high esteem as a token of wisdom and knowledge. 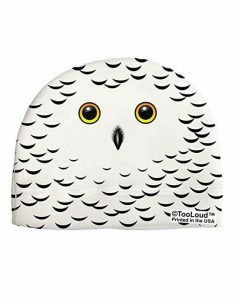 With a skullcap style beanie, the soft fabric and sleek design highlights the owl pattern of the material. 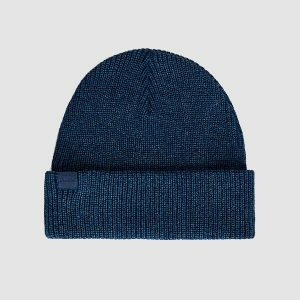 Instead of a bulky shape, this beanie is ideal for those who prefer the subtle. The white background meets feathered print and comes together as a snowy owl, perfect for those who admire the quiet simplicity of the owl. 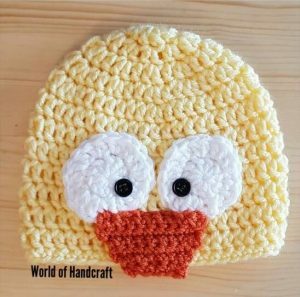 Best for children and kids at heart, the duck inspired, crochet beanie emulates the cartoon exaggeration of the traditional duck. 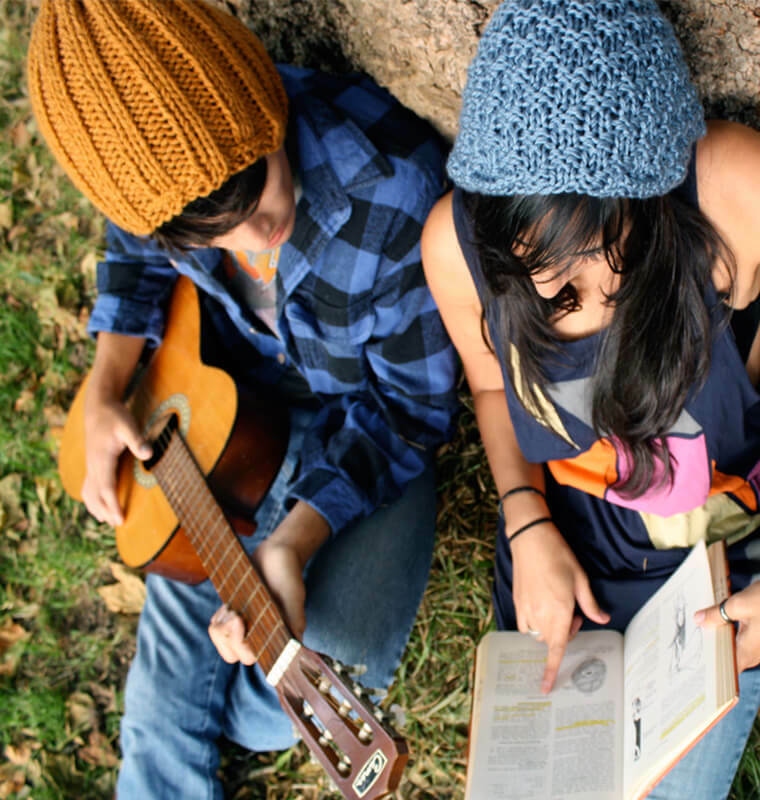 Bright colors and happy facial features add to the charm of this loud, yellow hat that is great for youth. 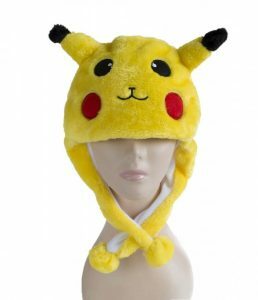 One of the ideal designs for winter is a well-insulated, quality design that covers the ears and keeps its wearer happy. 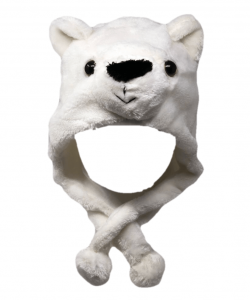 For an extra dose of psychosomatic heat, this hat emulates the grandeur of the polar bear, a creature equipped to handle winter temperatures and icy water. 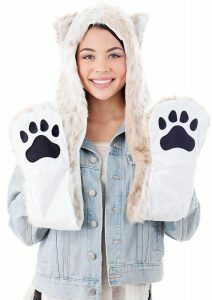 The white color makes this an ideal match with any outfit, and easy maintenance allows this item to be included in the regular winter wardrobe of the fashionista who loves animals and knows the value of a quality beanie. Perfect for children who love all things animated, and have no problem featuring an animal from the fantasy realm. 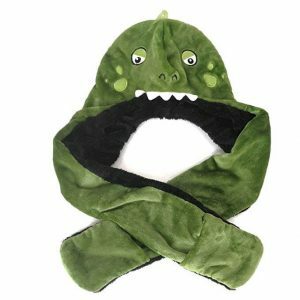 The green, fuzzy lining makes for a warm wear, and the eccentricity of the dinosaur design makes it wearable and fun and easy to remember. Long ear flaps double in purpose as scarves or mittens, bringing this dinosaur featuring hat to the status of an all-purpose piece of winter gear. Fans of dogs are some of the most prevalent in the animal-loving population. 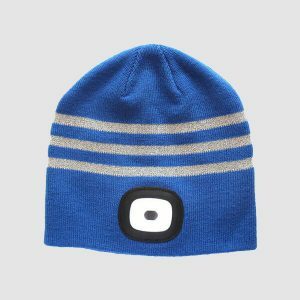 For those who know that the dog is truly man’s best friend, the Bibi Time knitted beanie is a perfect fit. 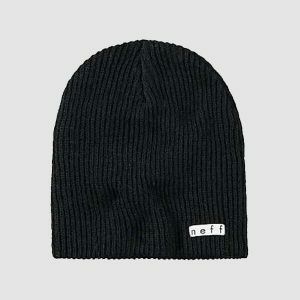 The loose knit pattern, coupled with floppy ears and a formed face, make this beanie lightweight and breathable. Numerous colors and styles are available to best emulate the wearer’s favorite dog breed. Ideal for kids who are passionate about animals, the beanie and finger puppet set by Pulama is a warm and sensory engaging activity for children. There are five options highlighting popular animals like wolves and including cartoon character favorites. The finger puppets act as tiny beanies for the hands and keep the young engaged and occupied while learning about animals all the while. 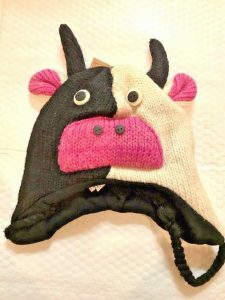 The cow themed beanie, stitched with a view of comfort, has a soft lining to make the hat wearable and soft. These animals have been a part of human culture for eras, and the black and white pattern of the dairy cow makes for a fun, wearable ode to the noble sow. The rabbit has long been known as a tenacious, energetic creature that is featured everywhere from legend to cartoon. 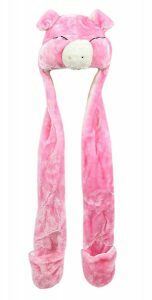 The toothy, pink on white design highlights smaller earflaps and tasseled pom-poms that show the fun side of the wearer. These popular and prolific animals are found across the globe, and range from friendly pets to magic show assistants. 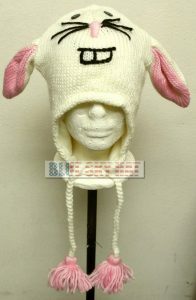 To emulate this high energy versatility, the bunny beanie is a great match. 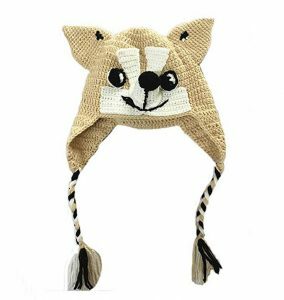 From realistically designed hats featuring life-like imitations of animals to cartoonish and spirited odes to the energies of these wild creatures, there is a beanie suited for everyone. 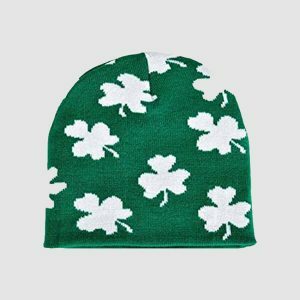 Adults who cherish animals and like to embrace their style find fits in the long flapped, multi-purpose beanies. 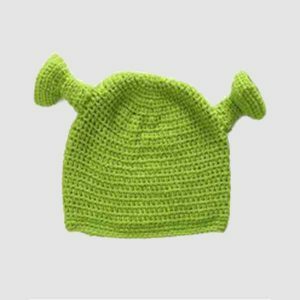 Children who prefer the high energy of animated imitations, there is a beanie to match their desires. 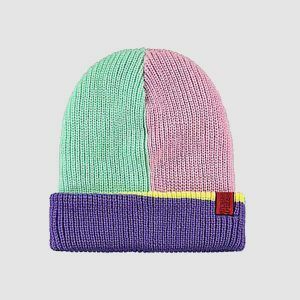 Through the use of these seventeen beanies, fans of animals everywhere have a chance to best express themselves, and their passions, through the use of fashion.